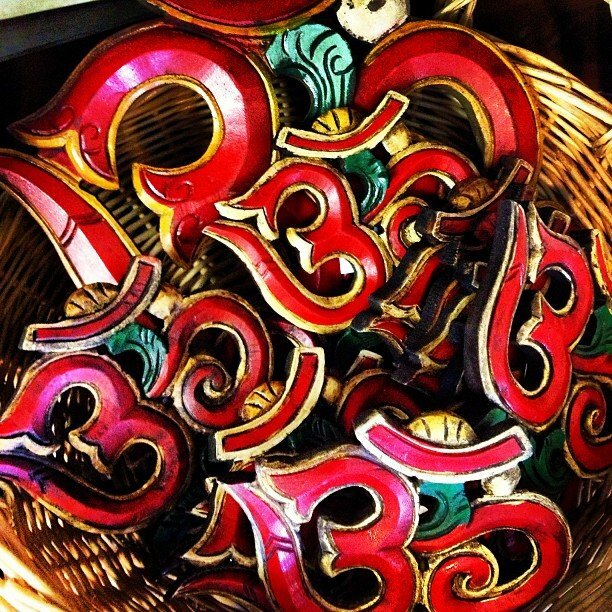 OM… Noun: A mystic syllable, considered the most sacred mantra. It is of paramount importance in Hinduism, representing Brahman, the impersonal Absolute of Hinduism — omnipotent, omnipresent, and the source of all manifest existence. Brahman, in itself, is incomprehensible; so a symbol becomes mandatory to help us realize the Unknowable. Om, therefore, represents both the unmanifest (nirguna) and manifest (saguna) aspects of God. All that was, is and ever will be is in this sound, it is the sound of creation.